At Tastebuds, we offer so much more than food. We provide an unforgettable experience, bring people together and elevate the industry. But, we didn’t get here overnight. It takes a lot of practice to become one of the top caterers in southwest Florida. In order to achieve the high level of efficiency and professionalism our clients admire, we have to take the time to practice. We have a system for almost everything we do…down to the finest detail. It might sound crazy, but we even know who will be picking up the dessert forks from Table 7 at the end of the night. This is why we hold our annual training event for new and seasoned team members, otherwise known as, our family. Coming to work at 9am on a Saturday may sound daunting to some, but for us, it’s just another opportunity to improve and spend time with our family. Our veteran team members truly stepped up to the plate and demonstrated exceptional leadership during the training session. 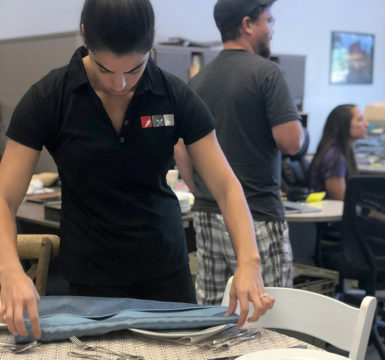 Captains and experienced servers set a great example for the newer employees, asking relevant questions and volunteering to demonstrate for the group. As the Director of Operations, my job is to ensure our staff is well equipped to handle any obstacles they may encounter while catering an event. 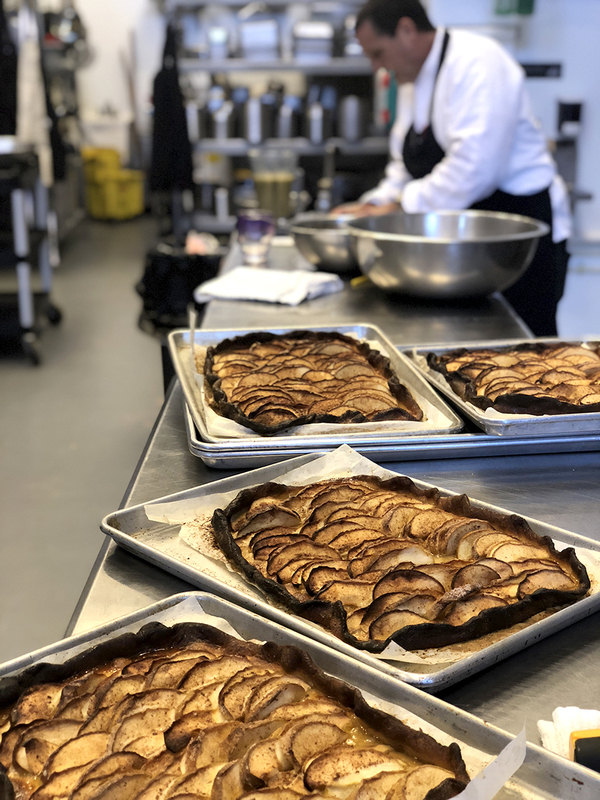 Our training events cover everything from how to properly set the table to synchronized plating service. This attention to detail is what we believe sets us apart from other local caterers. In order to best prepare ourselves, we think about things globally. For example, if we know there will be a champagne toast at the beginning of the evening, we will place the flutes closer to the edge of the table to make it easier to fill the glass. We think about everything and try to prepare our team for everything. Practice makes perfect! The training event finished with a lunch provided by the Tastebuds kitchen staff. To top it off, the lunch was ‘no-waste’, meaning they used vegetables that would have normally been discarded due to aesthetic imperfections. Our company is very passionate about sustainable cooking, so we always manage and are aware of our practices in the kitchen. 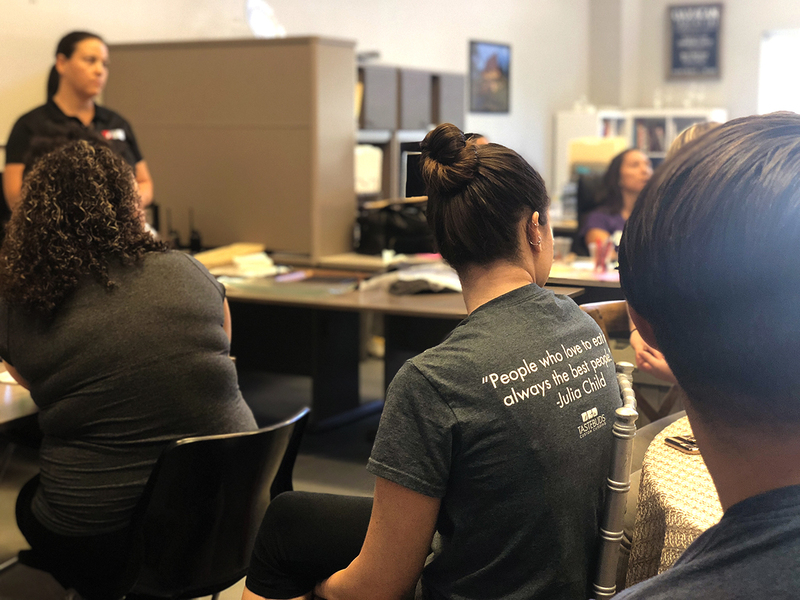 By the end of training, we were so impressed by how quickly our staff picked up the new information and were able to enhance their skillsets. The team demonstrated incredible improvement in a matter of hours and we are lucky to have such hard workers. As we prepare for the upcoming season, our goal is to continue improving the Tastebuds experience to make your event, the most memorable. These annual training sessions will help us accomplish just that.